After two years of living on beer in a tiny cabin outside a crumbling mansion, young programmers Shawn Eagle and Billy Stafford have created something that could make them rich: a revolutionary computer they name Eagle Logic. But the hard work and tension have not been kind to their once solid friendship - Shawn’s girlfriend Emily has left him for Billy, and a third partner has disappeared. While Billy walks away with Emily, Shawn takes Eagle Logic, which he uses to build a multi-billion-dollar company. Years later, Billy is a failure, and Shawn is the most famous man in the world. 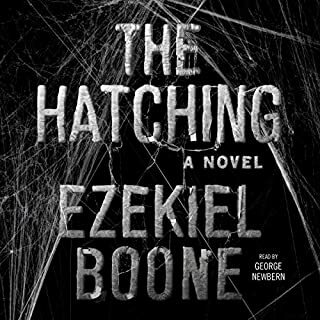 In the thrilling, nerve-wracking finale of Ezekiel Boone's "hair-raising" (Parade) Hatching series, the United States goes to war against the queen spiders that threaten to overtake the human race forever. The only thing more terrifying than millions of spiders is the realization that those spiders work as one. But among the government, there is dissent: do we try to kill all of the spiders, or do we gamble on Professor Guyer's theory that we need to kill only the queens? For President Stephanie Pilgrim, it's an easy answer. She's gone as far as she can - more than two dozen American cities hit with tactical nukes, the country torn asunder - and the only answer is to believe in Professor Guyer. Unfortunately, Ben Broussard and the military men who follow him don't agree, and Pilgrim, Guyer, and the loyal members of the government have to flee, leaving the question: what's more dangerous, the spiders or ourselves? 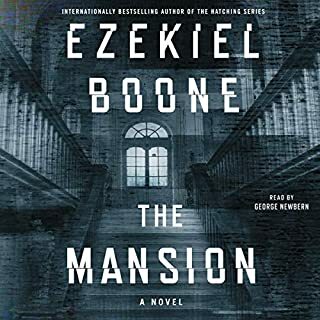 ©2018 Ezekiel Boone (P)2018 Simon & Schuster, Inc. While not perfect or profound, this is still an extremely satisfying end to the action- and spider-packed trilogy. 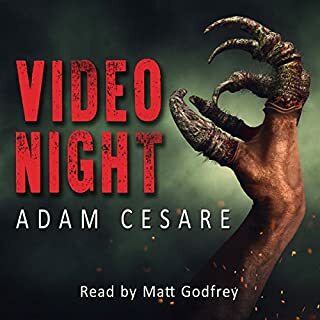 As in the first two books, this final entry is briskly paced and benefits from the wide cast of characters to add scope, intimacy, and meaning, elevating the book from the shallower B-movie creature features that this is so reminiscent of. And George Newbern remains an excellent narrator. When we last were in this spider infested future world, humanity was on a precipice. A second wave of spiders had struck, President Pilgrim ordered the tactical nuking of infested American cities and then the fracturing of America itself via the Spanish Protocol. The characters we had come to know were spread across the country, with problems big and small to contend with, ranging from mere survival to contriving a way to save humanity itself. And the various points of view offered by Boone were not all human, we also were privy to minds of the spiders, and knew something terrible was to come. Boone plunges readers back into the thick of the action, and things go from bad to worse. Tensions rise in the government, and there are differing opinions on how best to combat the threat with a rift opening between the executive branch and the military. All the while the scientists are racing to figure out how the spiders operate in an effort to head off the existential threat. Dialog remains snappy, deaths gruesome, small insights into character and humanity shine here and there, and the suspense grows. Boone chooses to write this final entry leaving much unsaid and undescribed, setting up set pieces and letting the reader fill in the blanks. It isn't that the reader has to guess what likely happened--he often leads the reader through a series of events and encounters, with a climactic decision or statement made, then the point of view abruptly shifts. This lends the narrative even greater speed, but also makes portions feel rushed. The book is not incredibly long, and I think more than a few readers would have enjoyed more elaboration from Boone and would have forgiven a few extra pages. All in all, though, the book is incredibly fun and Boone treats the readers to an epilogue that happily ties up a number of loose ends. This apes movies where in the closing credits we find out what happened next to the main characters. Boone does not deny his readers the comfort of knowing how our favorite characters fared in this new world, and happily they have fared well. A truly entertaining trilogy, not for those who dislike gore with their action, but worth the time for those who like a ton of action, characters to root for, and loose ends firmly tied. Oh, and one spoiler worth giving: Claymore (the dog) lives. 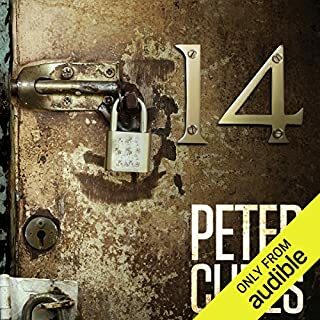 Bought the first one by accident and I almost returned it, I decided to to listen to the first chapter and that was it. 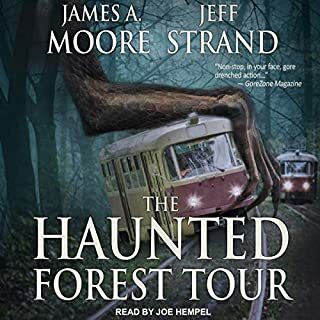 Even If you hate spiders you might want to check this book out, and if you love mysteries and apocalypse stories you should definitely read this, you won’t be disappointed. What would have made Zero Day better? There was no excitement to this book. The first book of this series was a 5 star. The second book was a possible 3 star. I give this a 2 star at best. Before this series, no. I enjoyed listening to him but he changed the voices of a few leads from book 1 and not for the better. I think the author has great potential and I will give his future books a try. I loved the characters! I found myself deeply invested in their progress emotional over their fates. I could hardly make myself put it down to do anything! I really enjoyed reading and listening to this book. Anyone with a fear of spiders this will definitely have you on the edge of your seat. I really enjoyed the different perspectives and reactions from different people in the world! This book was great! I enjoyed reading this book. the narrator did a good job representing the characters. it is definitely worth a credit to listen to. After the dreadfully slow 2nd book I had really high hopes Boone would finish strong. I really enjoyed the science aspects of the novels but the end was so blase. The ST-11 guided them to the queen... they shot the queen... the end. No epic tale of surviving the spider-pocalyse, no impossible struggle to reach the queen and end this once and for all, the biggest struggle in the book was a political one. my biggest disappointment was that the Queen's got zero spotlight at all. They get introduced via a security briefing, we get a few sentences of the Queen's perspective to 'wait a little longer', and then the Queen's are all dead before they get to really post a threat. I was he had replaced all the Prophet Bobby Higs nonsense with the Queen's wrecking horror across the globe. I didn't really look at my reviews of 'The Hatching' or 'Skitter' before I'm writing this, but I'm pretty sure that I mentioned either both or one of these two things in those reviews: it wasn't long enough and that certain scenes could've been more in-depth so that the book, although a normal size novel, could've been longer and given the reader that extra *UMPH* to take away after reading it. 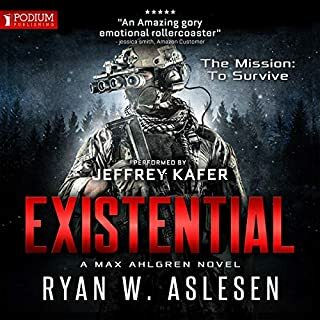 I feel the same way about this one; I might even feel stronger about it, because this is the final book in the series. In this final installment, all the characters (still alive) are present and doing their thing while they wait for the possibility of a third wave of spiders. Shotgun and Gordo are perfecting their machine so that they can get it to work to track this mysterious signal being sent to these spiders from various locations not the globe. Now, I am going to say that this book could've been twice its size and still had more story to tell. I DO NOT believe the Mr. Boone was just trying to wrap up a series and didn't care anymore. I think that's how he writes, because the same thing was wrong with the first two in the trilogy. Maybe I should be okay with this, but I find it to be incredibly frustrating and I really wanted more. MORE. MORE PLEASE! 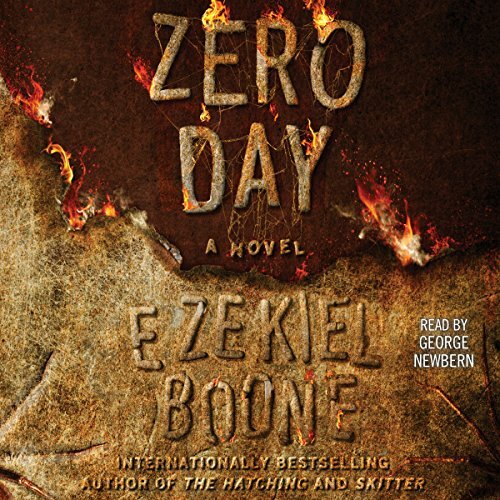 It doesn't say who narrated 'Zero Day,' but I'm almost 100% sure it was the same gentleman as the first two in the series, George Newbern. As always, he did a spectacular job with the material. He had to jump around and portray so many different characters. Despite the book being written in a third person omnipotent sort of way, I felt like Mr. Boone wanted it to feel like a third person limited by going into the head of each character. It's almost like a third person limited, except with twenty different characters in which you are inside the head. Newbern was ridiculously good at this very difficult task. For narration, I'm going to give Newbern an A-. As far as the novel goes, I'm going to do this one a little different than I normally do. First, I'm going to give the grade it would deserve IF Ezekiel Boone had written the novel the length and with the pieces that it needed to have. I'D GIVE IT AN A! A FULL A!!!!!!!!! It had all the pieces and, if this was Boone's first draft, that would make a lot of sense. He has the outline there and now he just needs to go fill the rest of that prose into the book. However, he did not do that and this is the extent of the novel (and series). Because of this, Zero Day receives a C+ from me. Now, people don't read reviews on audible by the same people a lot of times. They usually look at the book and read the ones below. However, if you have read the reviews where I use this grading scale, you know a few things. I do not give A's out very often. I don't even give A's out to books I think are really good. A's are reserved for pieces of literature that are above and beyond what you expect and you finish the book with either literal exhaustion, emotion, or other strong feelings. Also, a C+ is a decent grade, because, as you can see on the audible star scale, I gave it a 3. It's average with that extra little bit, which is exactly what I think this book deserves. Mr. Boone, if you ever read this review (I know, unlikely) just know that I am a HUGE fan of our trilogy! I just REALLY wanted you to go in deeper to these scenarios. I can't specifically say what exactly I think should've done, because I don't want to give away any parts of the ending or important plot points. To people thinking about starting the series, DO IT! I don't want to discourage people from reading it, because of my review. I'm really harsh and Zero Day (plus the other two in the series) are a wild ride, but just know that there will be moments where you think there could've been just... a little more. it is horrible to build up subplots and leave so many ignored and forgotten. Horribly disdapointed.